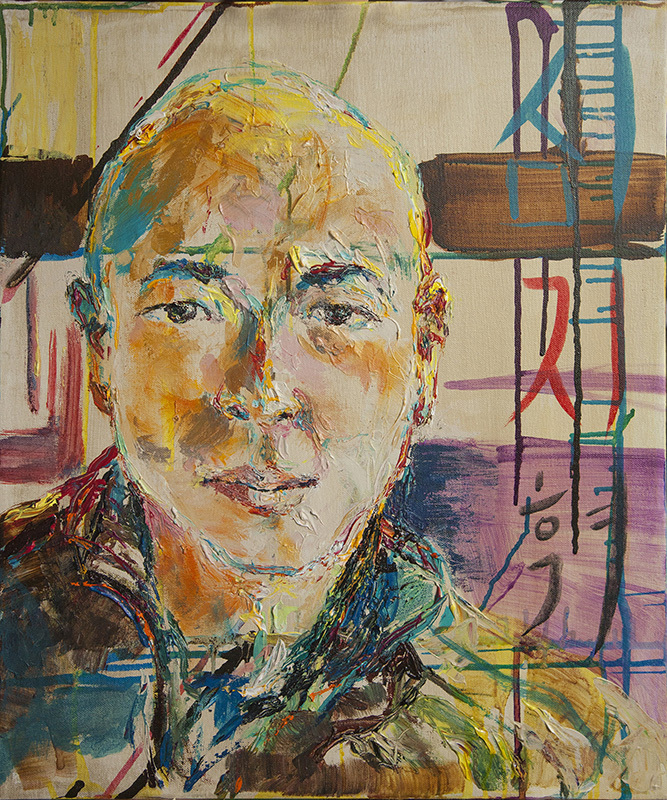 I painted this portrait of my friend Jin using predominantly acrylic paint on canvas. I prepared the canvas with an acrylic wash and dripping intense pigment ink from various directions (rotating the canvas as I did so). Half way through the portrait I asked Jin to write down his Korean name on a piece of paper and then I brush painted the Korean characters of his name on the right of the painting. There are three characters arranged vertically. The top one is his family name, Shim. The lower two characters are his first name and mean “let his light shine through”, which is exactly what I strive for in my portrait! 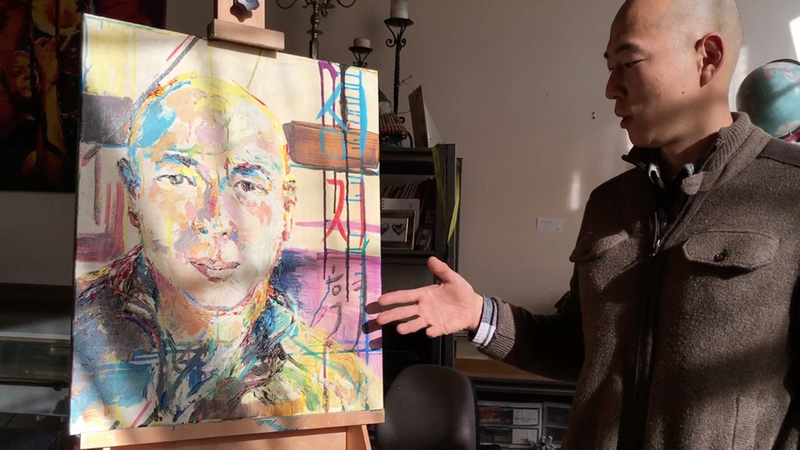 Time lapse video of the painting in progress and Jin explaining his name in the portrait and his first impression of the artwork. 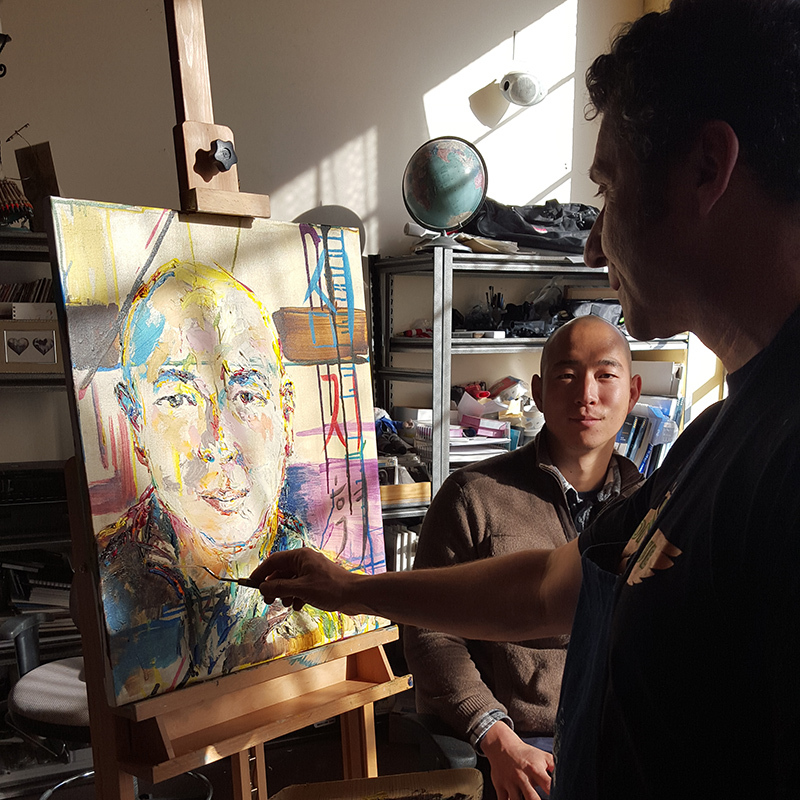 It is always fascinating drawing or painting from life in natural light, as in this portrait. The light changed continually so the resulting artwork is not a depiction of a single view but instead is literally a response, mark by mark, to a myriad of momentary views, none the same as any others. This depiction of myriad of views is something that can’t be reproduced or experienced when working from a static single photographic reference, a single captured moment in time. This is why I love drawing and painting from life with natural light whenever possible. 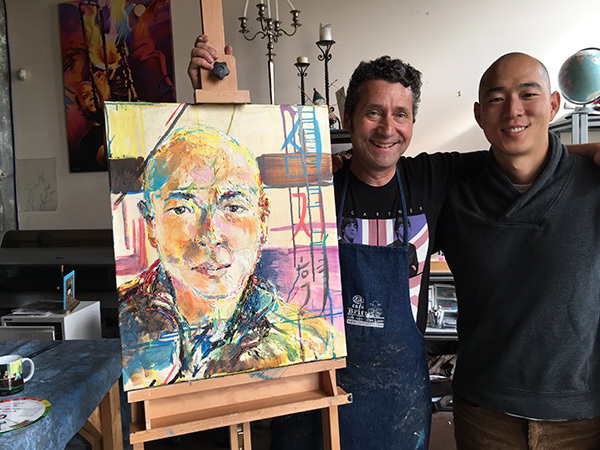 The difference in experience in drawing or painting from life, versus from a photograph, is far greater for me than the difference, for instance, of using digital media versus traditional media. 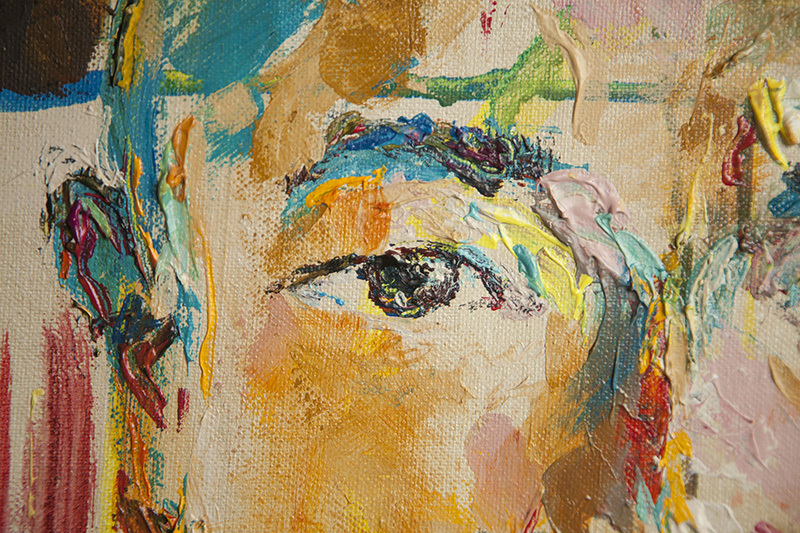 In this particular case no pixels or photography of any kind were used in any part of the painting process, just good old fashioned hand-eye-brain coordination with application of various media onto a canvas. What an amazing process! I had the pleasure of seeing this developing in-person and feel honored to have been there. Love Jeremy’s unique style and creativity.